Creme de cacoa adds a distinctive chocolate flavor to mixed drinks. Creme de cacao is a liqueur that adds a rich chocolate flavor to mixed drinks. You can find it in both brown and white varieties. They have a similar taste profile; their distinctive colors and body are their main differences. You can use this liqueur in cocktails such as the chocolate martini, the grasshopper, the almond joy and the Alexander. While some chocolate liqueurs tend to be ultra-sweet and syrupy, creme de cacao has a consistency akin to vodka. It is distilled from cocoa beans and offers a distinctive chocolate flavor without being overly sweet. If making a white or clear drink, such as the chocolate martini, use the white creme de cacao so as not to interfere with the coloring. Brown creme de cacao is made by adding caramel coloring to the liqueur. Because dye is used in its creation, it is heavier and has a stronger gravity than the clear variety. 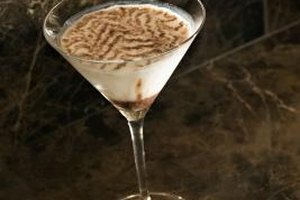 The gravity of an alcohol is taken into consideration when making a layered drink such as the chocolate almond, which floats amaretto, Irish cream and dark creme de cacao. These drinks are made by pouring the liquors on top of each other into a glass, creating a layered effect. The heaviest or creamiest liquor is poured first, followed by the lighter ones. 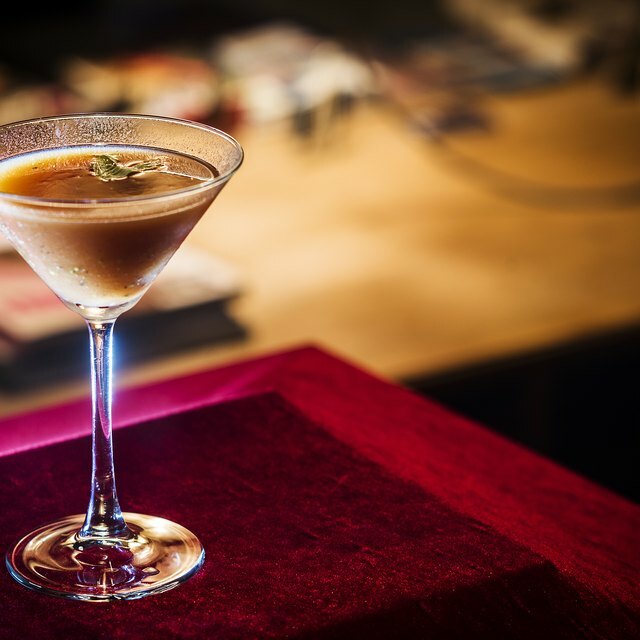 Brown creme de cacao works well in layered drinks and in dark drinks, as when mixed with coffee or amaretto.